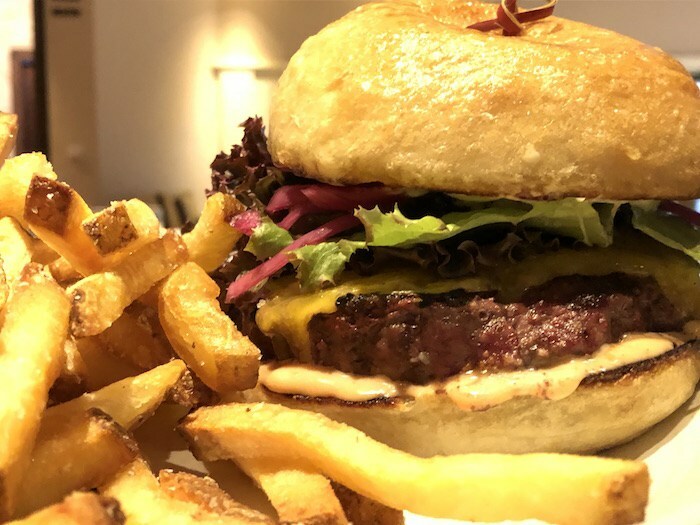 Root 246’s Creekstone Ranch Burger is one of the specials on the menu at Santa Ynez Valley Restaurant Weeks, taking place Jan 27 to Feb 10. Courtesy photo. 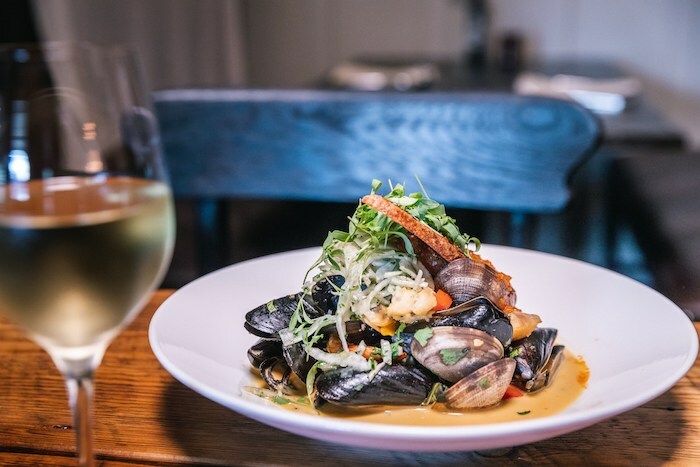 The Santa Ynez Valley has so many great restaurants, and the upcoming annual foodie celebration is the perfect time to check out a new one or revisit and old favorite. 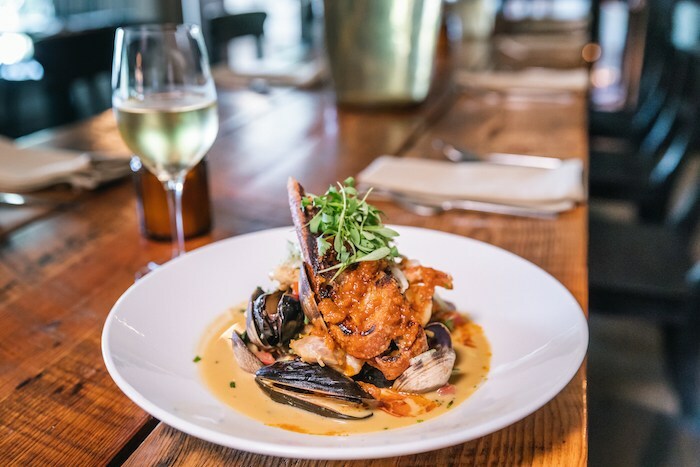 Part of Visit California’s California Restaurant Month, this year’s Santa Ynez Valley Restaurant Weeks feature three-course meal deals—all $20.19—at a record 32 restaurants in the six Santa Ynez Valley towns of Ballard, Buellton, Los Alamos, Los Olivos, Santa Ynez, and Solvang. Why is it two weeks long? Representing each of the Santa Ynez Valley’s six distinct communities, 32 restaurants will participate in Restaurant Weeks in 2019. In addition to the offerings of the Valley’s restaurants, many Santa Ynez Valley wineries will offer wine and small bite pairings in their tasting rooms for $20.19. And special lodging deals are available at hotels throughout the Valley. “Santa Ynez Valley’s food scene is rapidly evolving in terms of both quality and quantity; it’s even challenging the region’s reputation for world-class wines. Our restaurants these days—rule,” says Sim. Santa Ynez Valley Restaurant Weeks menus shine with farm-fresh examples of wine country’s seasonal bounty, with tasting menus crafted by celebrated chefs. Exemplary, and locavore, Santa Ynez Valley Restaurant Weeks dishes include S.Y. Kitchen executive chef Luca Crestanelli’s “Bird’s Nest Lasagna” (with fontina cheese, roasted butternut squash, chanterelle mushrooms), his “Fried Sous Vide Organic Egg” (with cheese fondue and chicory), and his “Saffron Gnocchetti (with butter and sage, optional bone marrow, raspadura cheese). 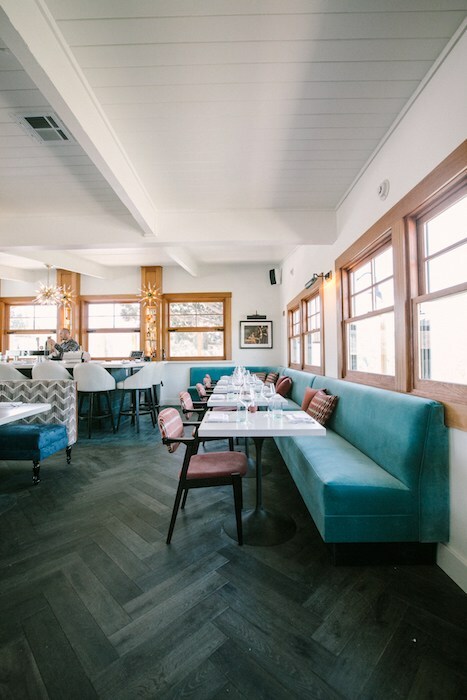 At The Bear and Star in Los Olivos, chef/partner John Cox’s Santa Ynez Valley Restaurant Weeks menus include the likes of his “Wagyu Empanada” (with black beans and Cotija cheese), utilizing proteins pulled from nearby Fess Parker Ranch. In Solvang, new chef de cuisine at Root 246, Crystal “Chef Pink” DeLongpré, puts her locally- and sustainably-sourced, TV chef touches on an “American Lamb Burger” (Bellwether Farms Jersey ricotta, house-pickled mustard seed, smoky tomato jam, served with fries or Chef Pink’s famous Brussels sprouts), which is destined for the eatery and lounge’s Santa Ynez Valley Restaurant Weeks menu. Norman, courtesy Skyview Los Alamos. The food-centric hotspot of Los Alamos will boast chef and restaurant participants like the town’s culinary founders, chef Jesper Johansson of Plenty on Bell and chef Clark Staub at his Full of Life Flatbread enterprise; chef Drew Terp of PICO fame; chef Conrad Gonzales’ Valle Fresh; and Norman restaurant and bar, the dining and drinking component at mid-century motor lodge marvel, Skyview Los Alamos. At Buellton’s pioneering Santa Ynez Valley food-scape player, Industrial Eats, chef/owners Jeff and Janet Olsson will celebrate the foods of—with 100% of proceeds benefitting—the People of Yemen. Yemeni dishes will comprise the bistro’s Restaurant Weeks menu, with specialties like Shourba Bilsen (lamb broth lentil soup with coriander), Hor’ee (braised beef shank with basmati rice), and Bint Al-Sahn (dough cake with honey). 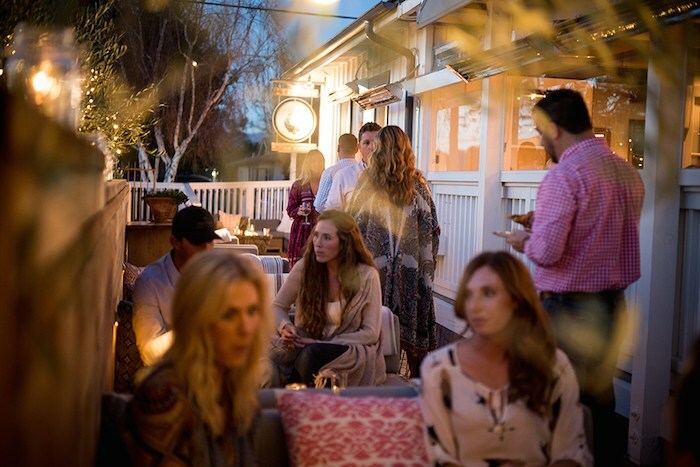 Santa Ynez Valley Restaurant Weeks is taking place Jan 27 to Feb 10. Courtesy photo. 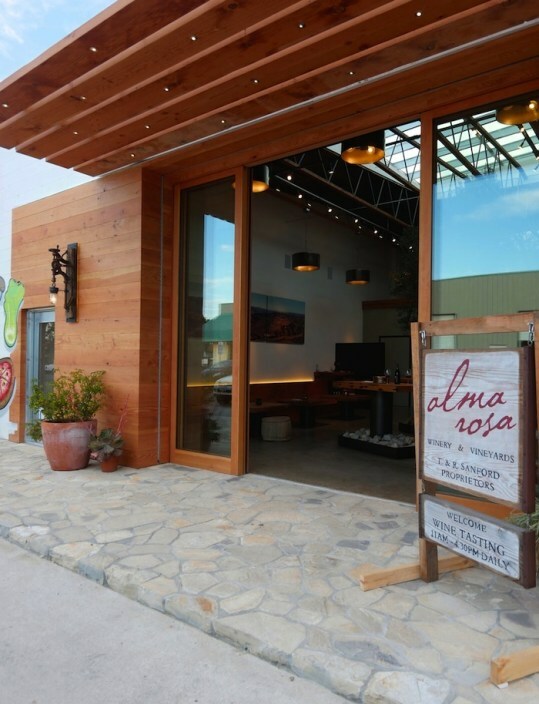 Alma Rosa’s eco-chic tasting room in Buellton, built by Allen Construction, incorporates a 15-foot olive tree, local river stone and recycled Douglas Fir. Photo by Patrick Price. Santa Ynez Valley Restaurant Week menus do not include tax, tip, or beverages, and reservations are strongly encouraged. For the latest updates, including menus and dining hours, visit www.DineSYV.com. Originally published in Santa Barbara Seasons on January 24, 2019.